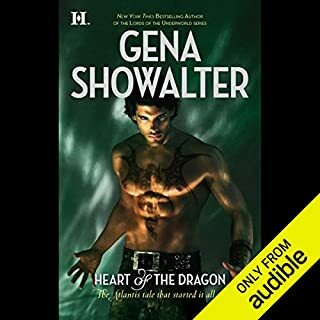 ©2010 Gena Showalter (P)2010 Audible, Inc.
Jsut to let everyone know this is NOT the 5th book in this series its the 7th one.... If you go to her website there are a couple books in between this one and the 4th one. There are 12 in all so far and another on coming out in Nov. I love all of these books and have listened to them all and will try to find out how to go about getting the others as well. 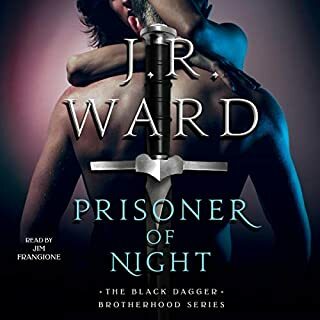 I have read all of this series and this one is just as good as the rest, there were a couple of places that it was "slow" but overall I really enjoyed the book and will listen to it again. I recommend this book to anyone who enjoys Gena. There were several times as I was listening to this book that I laughed out loud. Olivia was written really well and her interactions with the other Lords & ladies of the house were great as well. The story was just what I've come to expect from this series and the layers upon layers of plot keep me coming back for more. I'll definitely be reading more of these books. I love the series. I'm hooked for sure but I LOVE Aeron. There is something about him that is endearing. This is my favorite book of the series because of Aeron and Olivia. It made me wish I could fall in love all over again to feel the way they do for each other. Plus Bellmore is the greatest narrator. I wish I could listen to this story all over again for the first time. Looking forward to The Darkest Lie. This book started out very slow. You couldn't figure out which character is talking, but it progressed throughout the narration. I love this book so much I found myself crying towards the end. I love the characters, especially Aeron. AERON AND OLIVIA ARE WONDERFUL FOR EACH OTHER!!! 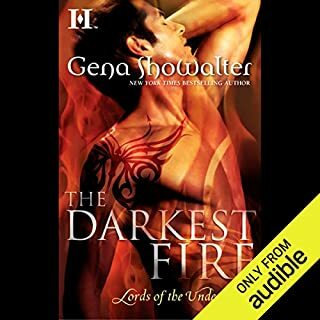 Where does The Darkest Passion rank among all the audiobooks you’ve listened to so far? 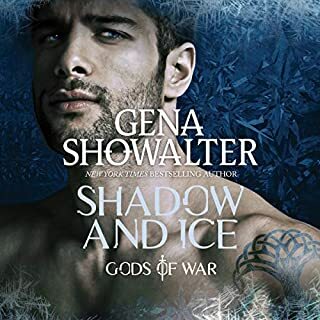 This is a good book, I really like Aeron...he is a good man, and well deserving of Olivia's love! Aeron! He is good..even with wrath as his demon he chooses to be good! What does Max Bellmore bring to the story that you wouldn’t experience if you just read the book? Max is a good narrator, I am hooked! Olivia fought her way back to Aeron, even bloody and beaten she kept him first in her heart and fought for him, and even after going back to heaven she fought for him...and now they can be together, she even thought about the naughty Legion! I have enjoyed this series very much and am moving forward to book 6....Out of all the lords Aeron is one of my faves...he is a gentle giant...even with the murderous impulse he is kind and considerate and I am happy that him and Olivia can now be together..and he will even get legion back...even if it means losing his wings and tattoos, he was grateful and that was totally in his character...this was a great story!!! Wow, everytime I finish a book I can't imagine how the next book can better better than the one before but let me tell you each one has been so good. Aeron's story was as good as Rayes' story. The story is very engrossing keeping you hooked. It also gives you an introduction to next story. Definately credit worthy!